Multifunction oven is rated 5.0 out of 5 by 1. 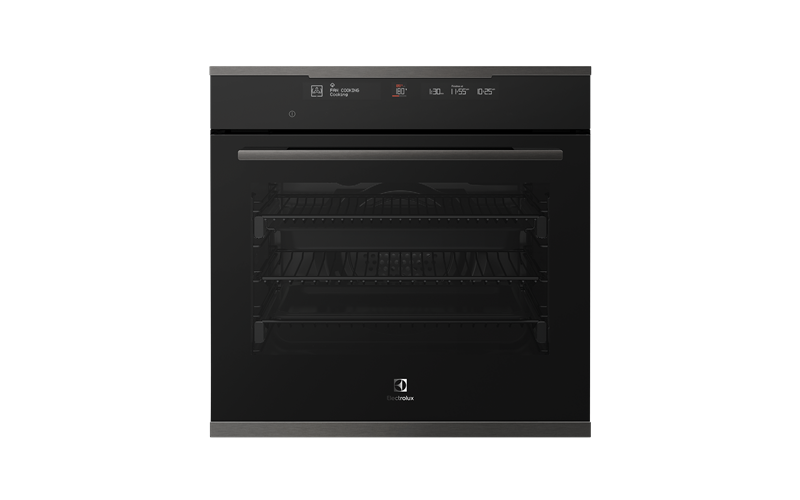 60cm Dark stainless steel 8 multifunction oven with Bake +Steam, Intuitive Oven Interface and Smart Food Probe. Rated 5 out of 5 by Mr Z from Functional and easy to use This review is for EVE616DSD. The configurations and buttons are intuitive and easy to understand. The oven even come with a probe stick to check the temperature of the meat inside the oven. I also like the 2 shelves with telescopic rails. So far, the foods and cakes were being cooked satisfactorily. The smudges on the door is easy to wipe clean. What I don't like is the small opening at the top of the door. It looks like the heat will escape from it, but it isn't. I just can't see why it was designed like that. I have not tried the self-cleaning pyrolytic function though.